It sounds like another hit for Keith Urban. 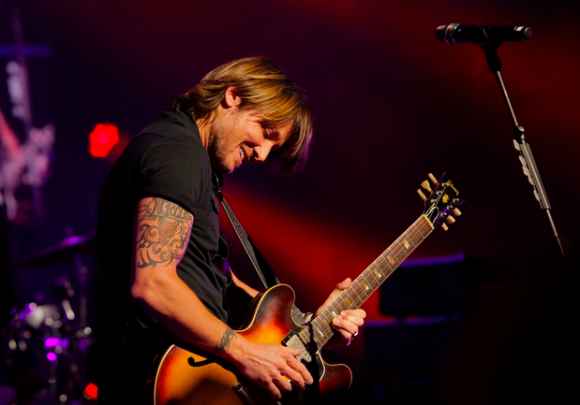 Keith Urban has been taking songs to the top of the charts for more than a decade. In fact, we just realized that it had been 15 years almost to the day that his first single entered the charts back in 1999. He still has a unique sound that nobody else in country music has and I don’t know that anyone else every will match him. Check out this new single. It’s got a lot of electric guitar and another killer melody. I think you’re going to like it. You’ll have to help me out if I’m missing the meaning of this song. I think it’s about a guy looking back on what was in a relationship. Things have either not worked out for the couple or they’re in a different kind of relationship now. Maybe the love that was once there is no longer there and the guy in the song is really missing it. He wants to go back to those days when they were just enjoying each other and enjoying being in love. The setting for the story is in the car, which is where many young loves occur. You can ride around town like you own the place. You get the radio blaring loud and you feel untouchable. Nothing else matters except the wind blowing on your skin the feelings you’re having for the person next to you. Another great song by Keith with a really catchy melody. It’s a surefire hit that might make it all the way to the top of the charts.